Australia is believed to hold more than 17% of the total gold reserves in the world, and roughly 60% of those reserves are believed to be in Western Australia alone. Gold mining has drawn people to Australia for more than 150 years, and in the case of John Deason and Richard Oates, it has made some incredibly famous. 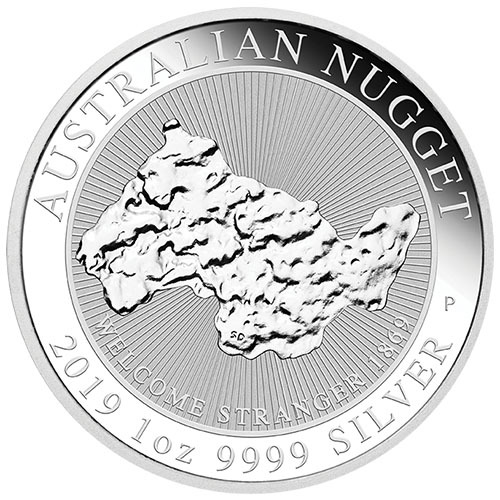 Right now, 2019 1 oz Silver Australian Nugget Coins are available to purchase online at Silver.com. Ships to you inside of an individual protective plastic capsule! Celebrates the 150th anniversary of the Welcome Stranger Gold Nugget’s discovery! On the obverse side is Queen Elizabeth II’s latest effigy. The reverse face includes a design shaped exactly like the Welcome Stranger Gold Nugget. Each of the individual 2019 1 oz Silver Australian Nugget Coins in this product listing comes to you with a protective plastic capsule. The coins in this release are in Brilliant Uncirculated condition and celebrate the 150th anniversary of the Welcome Stranger Gold Nugget. In a field near Moliagul in central Victoria, Australia, on February 5, 1869, a miner by the name of John Deason was working in Bulldog Gully when he discovered something around the roots of a tree. 3 CM below the surface was a massive gold nugget. He covered up his find till the evening hours and returned with his partner Richard Oates to dig it out. On the reverse of 2019 1 oz Silver Australian Nugget coins is the image of a golden nugget in the exact shape as the one which became known as the Welcome Stranger Gold Nugget. When Deason and Oates unveiled their find to guests, they had a 66 kg gold nugget to show off. When it was taken to the bank to weigh, it had to be broken in pieces as it was too large to fit the scales. Its value in 1869 was the equivalent of $3 to $4 million dollars today. The obverse of 2019 Silver Australian Nugget Coins includes the latest portrait of Queen Elizabeth II to feature on Australian coins. This right-profile portrait depicts the Queen wearing the Royal Diadem crown with a Victorian necklace. 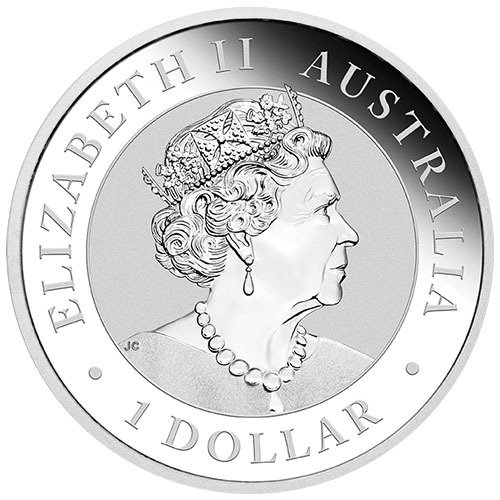 The sixth-generation design on Australian coins, this image is based on Jody Clark’s fifth-generation effigy for British coins. If you have any questions about buying silver, please feel free to reach out to Silver.com customer service. Our team members are available to you at 888-989-722, online using our live chat, and via our email address.